Hearing the word "Superman" maybe you just think it can only be found in Hollywood fantasy movies. Everyone knows that the superhuman shown in the movie is just a hoax and there is no such thing as a superhuman like the one in the movie. In fact, in the real world, there are also super-human like you can find in the movie fantasy. Here are some super people with amazing power that you may not have seen before. He is not the Blind from the Ghost Cave, Ben Underwood is the first Superman with the power of his eyes. Cancer makes her lose vision at the age of 3 years. Although he can not see, he can move as usual. 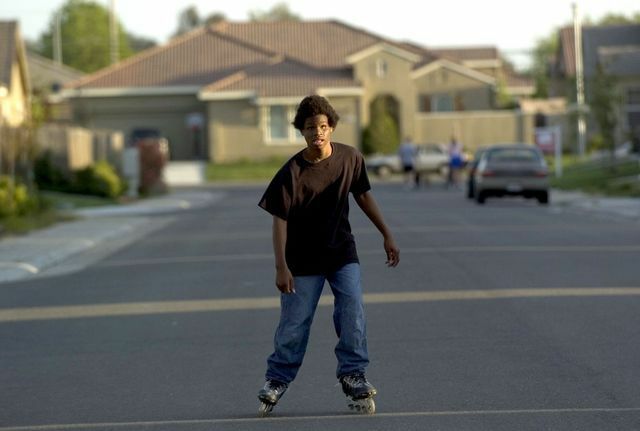 He can play ball, play bike, like another normal human. In fact, he trained himself in order to use sonar waves to see the world. Ben Underwood took advantage of the sound waves he produced and then reflected back to him. Perhaps he is the only super-man to see using sonar sounds like a dolphin. If you ask who is the most elastic human being in the world? So, the answer is Daniel Smith Browning who has held the Guinness World Record as the most elastic man 5 times. Called a superhuman because he can move his body and perform difficult movements that can not be done by others. He can even fold his body and put his body through a tennis racket. He seems to have no bones in his body and so easily he sees his body without feeling pain. What a wonderful man this is, is not it? This is a man with unparalleled gear strength. The man from Malaysia is famous for his teeth are so super strong that he never tried to pull the train by using his teeth. He once pulled a train as many as six cars weighing 300 tons. He pulled the train easily for about 3 meters. 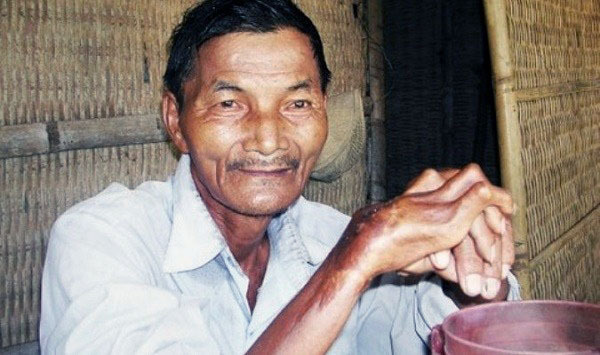 The fact is, he once studied in India and learned the technique in order to make his teeth very strong. Truly extraordinary! 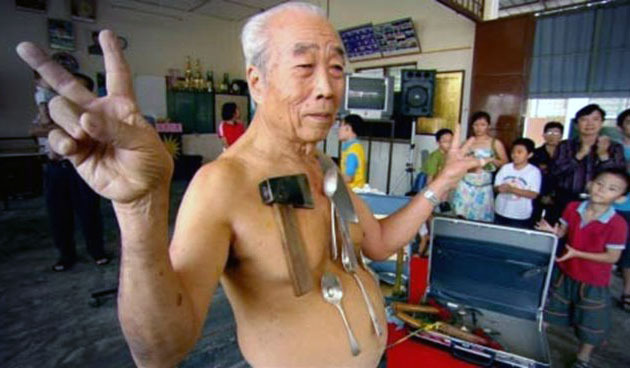 This is the next superhuman with extraordinary magnetic force. How could his body draw objects made of iron and attached to this man's body? This is truly remarkable and now Liew Thow Lin became a famous person in Malaysia for his abilities. At first, he was unaware of his abilities and once he put the iron on his stomach and the iron was attached to his stomach. In fact, this superpower also decreases in children and grandchildren so that their families are called the Magnet family. Who cannot sleep for a whole day? Perhaps, none of us can survive without sleep for a day. But this does not apply to Thai Ngoc the man who never sleeps for about 12000 nights. Wow, this is incredible. She could not sleep and never felt sleepy the night after she suffered from a febrile illness several decades ago. This is where the greatness of this person where he can still do activities such as farming and so on normally without feeling the slightest pain. Until now, Thai Ngoc still survives without sleeping. Maybe, if we put a foreign object into our stomach when we eat, then we will feel pain. In addition, these hard objects cannot be digested by our stomach. How could a Michel Lotito eat anything without side effects? This is the reality that we can see from Michel Lotito who nicknamed the eater of everything. It can eat hard objects such as glass, metal, rubber, and others. He is also very fond of eating television, bicycles, and other items. 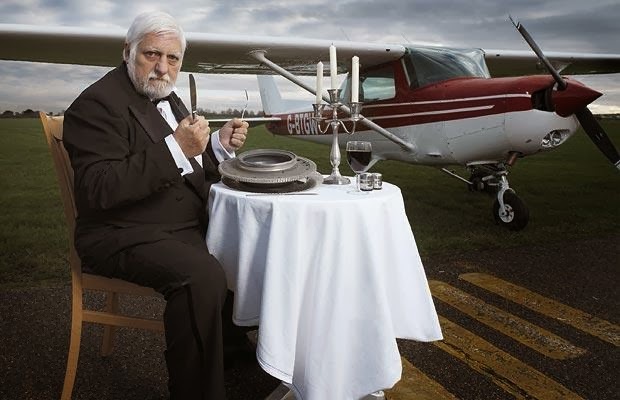 In fact, he also never ate the Cessna 150 and he spent about 2 years to eat a part of the plane. Even so, but he never got sick and still hobby eating foreign objects that he met. Waw, it's incredibly superhuman on this one. Most people have a mouth that can only be entered objects with a small size, but not with Francisco Domingo Joaquim. 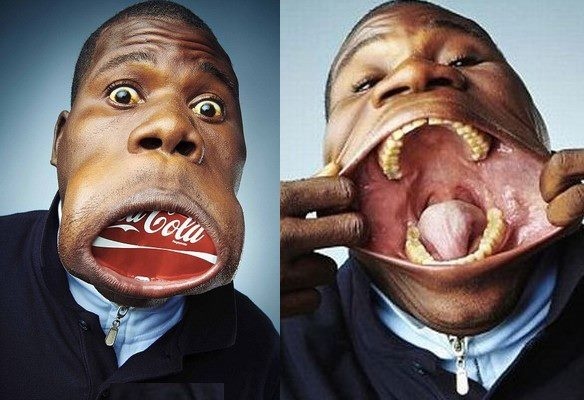 This Angolan original person can enter objects with large sizes such as coffee cups, bottles, cans in his mouth. How could he include the object? This ability lies in its mouth very elastic and can stretch to 16 cm wow !. Upon his uniqueness, he was awarded by the Guinness Book of Record as the man with the widest mouth in the world.Those are some examples of super-man we can find in the real world. Perhaps, you think that Superman is only in a fantasy movie, but in reality, there are so many real super people in this world. Is it possible that you are one of them?